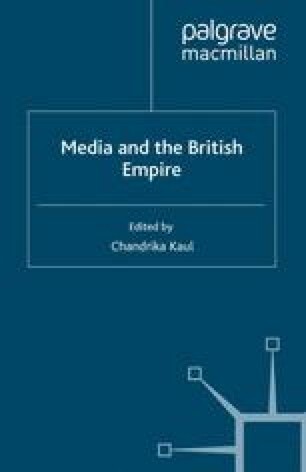 In recent years the resurgence of interest in questions of identity in Britain and the former Dominions of the British Empire has had a marked effect on historiographical studies of what has come to be called the ‘British world’. In South Africa this has led to the appearance of a number of studies of British, or as they were known by the early twentieth century, English-speaking, South Africans.1 Although part of the same imperial diaspora that saw British settlers populate Canada, Australia and New Zealand, the experience of English-speaking South Africans differed markedly. Unlike their cousins in the Dominions, they were a minority within white society, which in turn was a minority within the wider society. This was to affect the way in which they viewed themselves, as both South Africans and as British. It was also to have a direct bearing on the way in which the English-language press developed in South Africa.